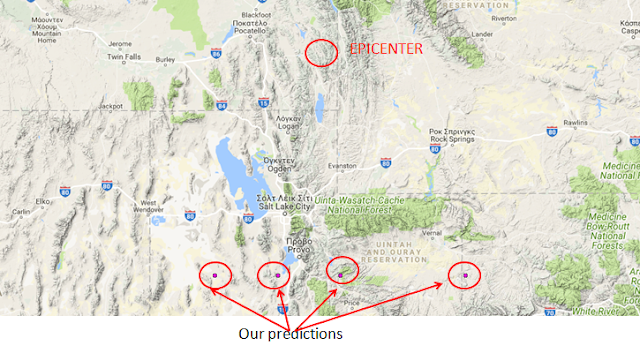 Earthquake Prediction: 5.3R in Idaho, USA! 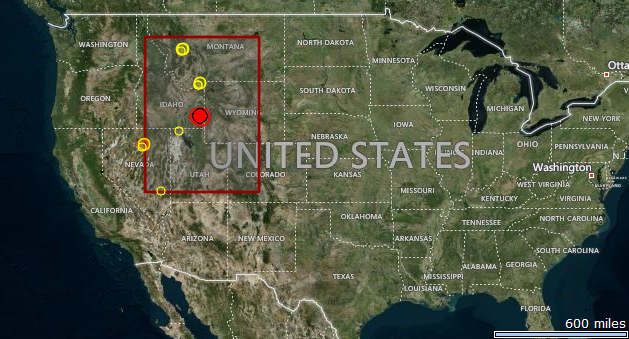 SODA SPRINGS, Idaho (ABC4 Utah) - The United States Geological Survey has confirmed a magnitude 5.3 earthquake has occurred 17 miles east of Soda Springs, Idaho. ABC 4 first received reports of the earthquake around 6 p.m. Saturday evening. It is not immediately known if the earthquake has caused any damage or injuries. Shaking was reported as far south as the Alpine area but no reports of damage here in Utah. There are no reports of any injuries as a result of the quake. Althouh we did not believe it will happen, our model did produce cluster hotspots in the locations shown below. Below we show you an OLR animation over the last few days of the region.